What you don't know about your past can still come back to haunt you. One fateful night in Brooklyn, a biracial teen and a troubled detective learn how, in this highly anticipated sequel to A Map of the Dark. One June afternoon, a chance encounter with a cop lands high-school valedictorian Titus “Crisp” Crespo in jail on the eve of his graduation. Until now, Crisp has always been a good kid, never held back by his unique name or his brown skin—his only legacies from his absent father. Knocked off balance by the arrest, the night in lockup, missing his graduation ceremony, and disappointing his family, Crisp’s typically solid judgment falters. Desperate for distraction, he finds his richer, whiter friend Glynnie, and they set out on a quest to score some weed…and don’t come back. In the middle of the night, near the blinking lights of Coney Island, Crisp’s mother begs Detective Lex Cole to find her missing son. In the early morning hours, at their brownstone in upscale Boerum Hill, Glynnie’s parents summon Detective Saki Finley to bring home their wayward daughter. When it becomes clear that the teens were last seen together, the two detectives join forces to retrace their path through the lurking dangers of housing projects, warehouses, drugs, and guns. Just as every story has many sides, so New York City contains many worlds within its different neighborhoods. 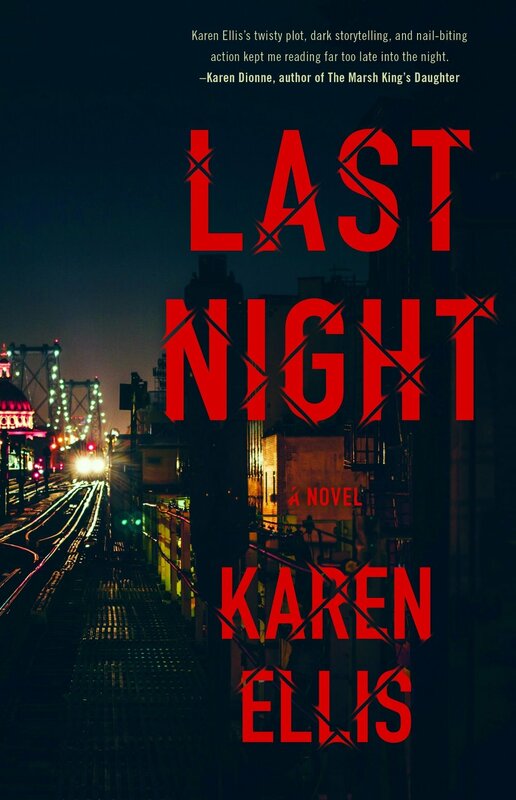 Here, Karen Ellis explores what happens when those worlds intersect, and how an impetuous decision one night can have life-changing repercussions.